#justBecause: Now Boarding for Happy, But Needs a Diaper Change — No starting. No stopping. Only doing. On Twitter this morning, I saw a discussion between several friends that gave me a great idea. Now I'm pretty full up on creative work just now. (Let's be honest, I'm postively choking on it.) So I wanted to write the idea down to share it, so that I could either pick it up later, or someone else could, or maybe we could all discuss it and really refine it. The Problem: Knowing how your friends are feeling when they're remote, or you're at a busy place, like a kink event. My idea: A sort of mood status board for people at an event, or specific friends you follow. I call it MOODBOARD. 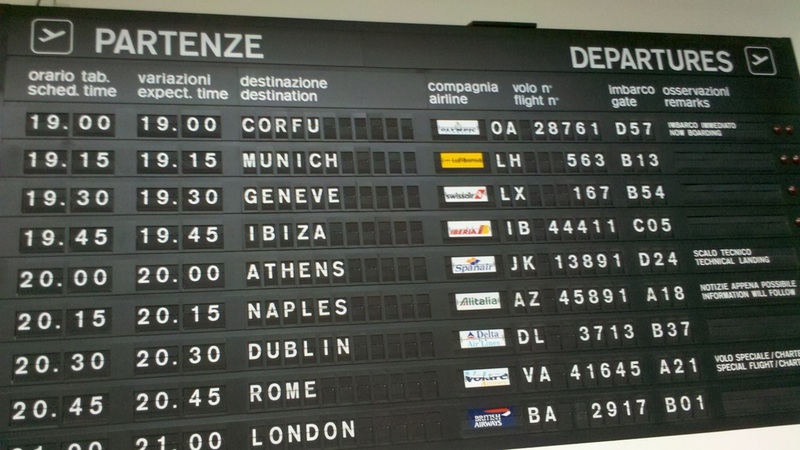 Think of one of those flappy-updating displays you see at train stations and airports. That's like a super crude mockup. But it's the basic idea. That way you can let people know how you're feeling, what you're looking for, what you're open to. It'd be tied to your Twitter name so you could use it to find and follow and cross-follow one another without needing yet another account. I could see using it temporarily, having a moodboard just for folks you meet at a Con, or to broadcast your mood "publicly" to a Con. I could also see using it on an ongoing basis with friends.